“Summertime is all fun and games …and spycraft. 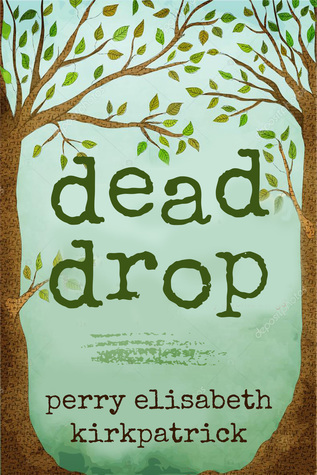 “When Jaimie and her brother discover a hollow place in a half-dead tree, she and her friends decide it’s the perfect dead drop for their amateur spy-ring. As time goes on, the messages Jaimie receives become harder to decipher. Is one of her friends a real spy? Or is something even stranger going on? Romance Content: A little brother briefly mentions that his older sister is “boy-crazy” (he’s 11 and the sister is probably 13 or 14), but that’s about it. This was an adorable little story that suddenly became much more serious and interesting. 😉 It reminded me of something my brothers, neighbor kids, and I would have done a couple years ago. I mean, who doesn’t love spies, codes, and mysteries (even if they are just pretend at the beginning)? And I also love the cover! I think it fits the story perfectly. I would recommend this short story to anyone who is looking for a quick, cute, and exciting read. Just a note: At the beginning an 11 year old brother mentions that his older sister is “boy-crazy” and causes a bit of an embarrassing situation. That almost made me stop reading it, since I don’t think such things are necessary in books (especially kids’ books), but that is the extent of the romance.